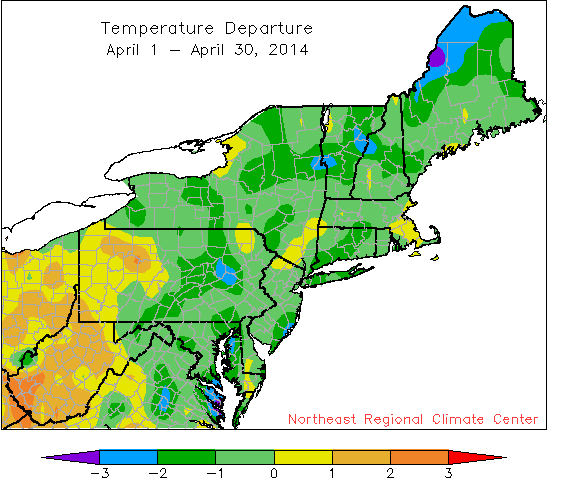 Temperatures in many areas within 1 degrees of normal for April. 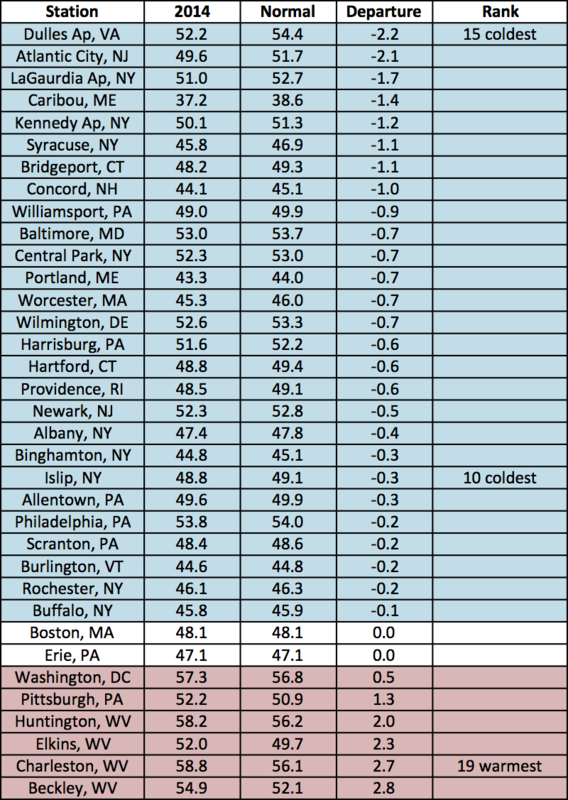 While April temperatures remained below normal for most of the Northeast airport climate sites, departures were not as large as in recent months. In fact, 23 of the 35 sites were within 1 degree of normal. Precipitation was hit-or-miss in April. Heavy rain on the last day of the month made April especially wet for many sites. 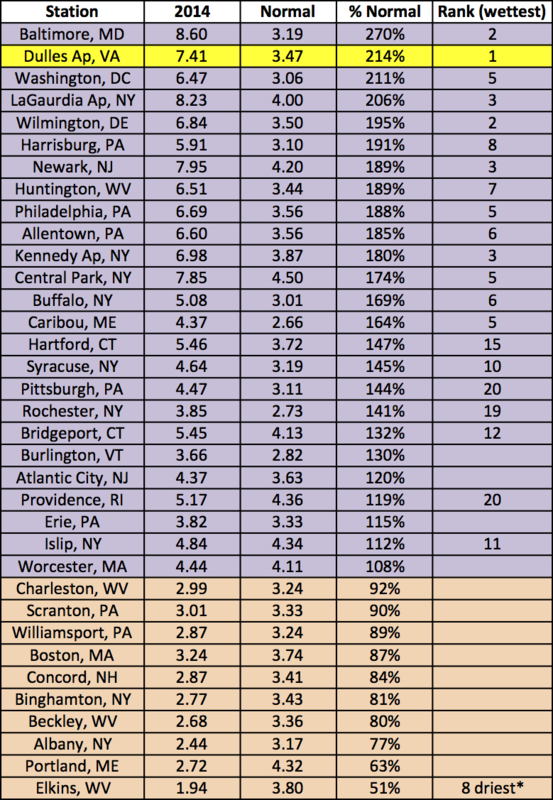 Washington Dulles, DC, had its wettest April on record and 20 other sites ranked the month among their top 20 wettest. 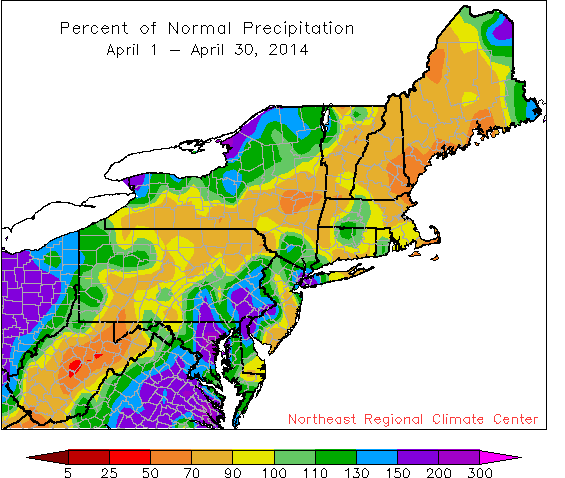 However, much of New England and West Virginia were drier than normal. 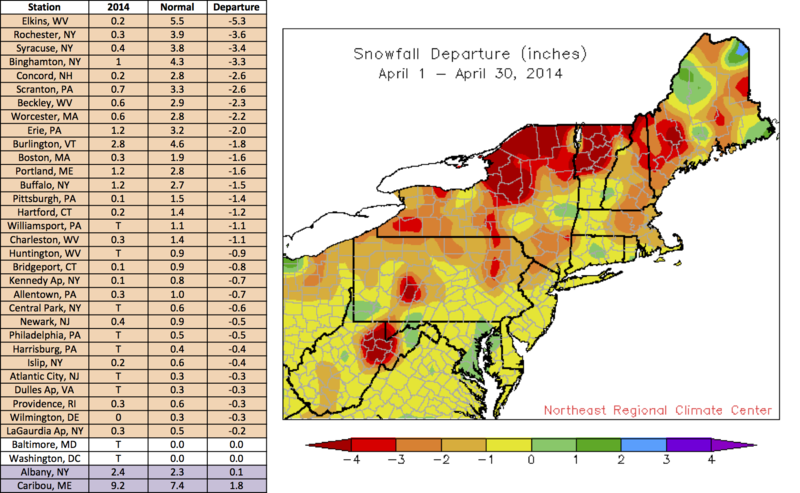 April snow showers were few and far between as 31 sites received below-normal snowfall.